Or choose a delivery day that's best for you! 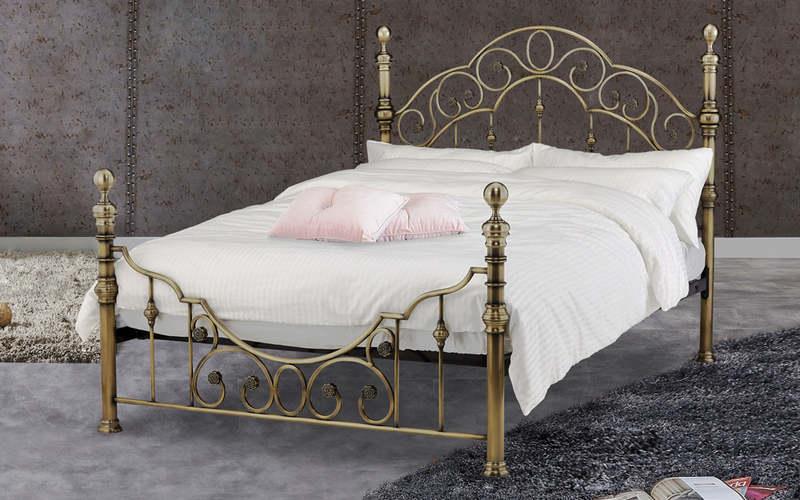 The Florence is a beautifully luxurious metal bed frame, constructed from sturdy steel and finished in a stunning antique brass. 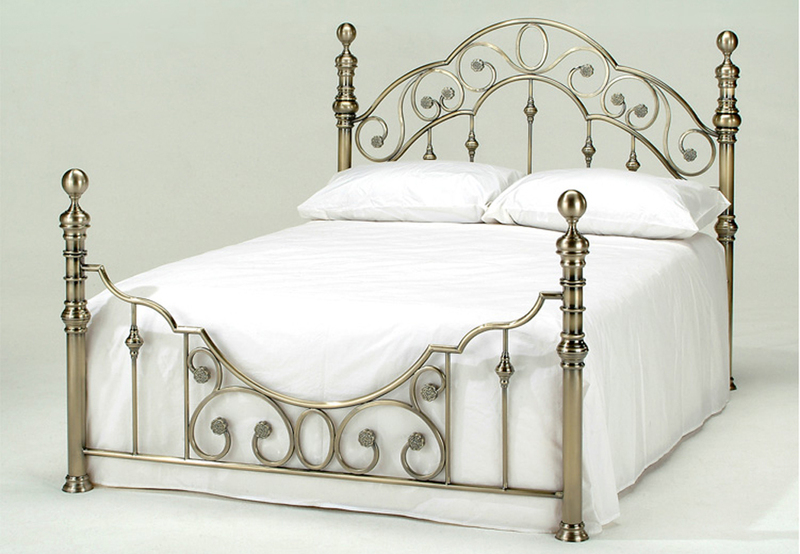 The Florence cleverly mixes traditional style with a contemporary feel to offer a truly stylish focal point for your bedroom. Supporting the mattress is a comfortable sprung slatted base, which offers cushioned support and improved air circulation for any mattress. Enjoy Free Next Day Delivery if you order before 12.30pm!